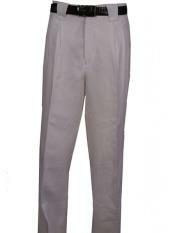 Men's White Linen Pants gives the most soothing effect in all seasons. 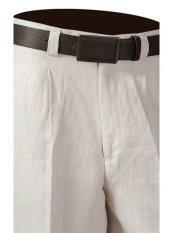 Home :: MensUSA Articles :: Men's White Linen Pants gives the most soothing effect in all seasons. Fashion plays an important function in the lives of many of you. When you meet someone for the first time, their first impression for you is judged by your clothes, your appearance, your personality and your professionalism in case of an interview in case of first time office. The fashion sense among people is very fast and they keep searching for the best that can make them look different from others. The linen fabric is the most comfortable and lightweight fabric for all seasons which you can carry without feeling burdened and the white color is the most soothing color that has a calm effect on your life. 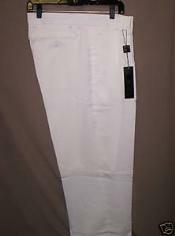 Therefore, when the Men's White Linen Pants are talking about it is no doubt the best color and fabric stitched for the best of men. 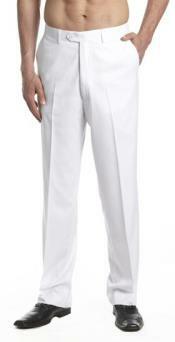 White color was earlier said to be worn after the memorial and never after Labor Day. 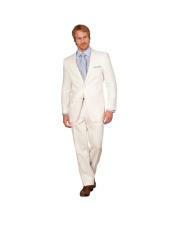 But the myth has changed with many shades of white and various materials used which can be worn all year round. 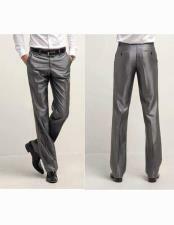 When you pair a linen fabric pant particularly of white color with a bright colored dress shirt, you can have an amazing look. 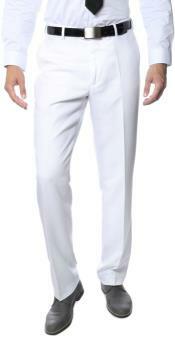 The Men's White Linen Pants are terrific for summer weather as the fabric is light weight and clean look of white pants looks bright. 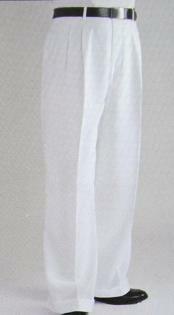 You can choose a dark shade of white in maybe wool or polyester fabric that is good for colder seasons. 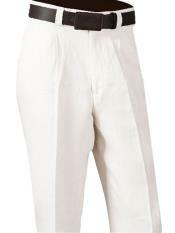 The comfortable and clean white pants are great for the warmer weathers. 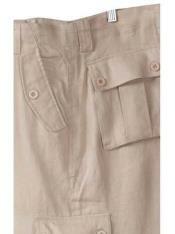 In a tropical location where the climate is warm throughout you can see many shades of white and linen fabric. 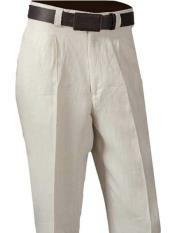 The white linen pants for men should be clean and spotless. 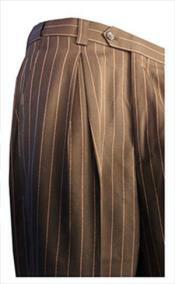 If you wear a dirty pant, you will not only look bad but also your impression will spoil. You should avoid a dirty pant at all cost. 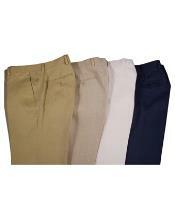 You can team up white chinos with a polo shirt in a crisp summer evening. 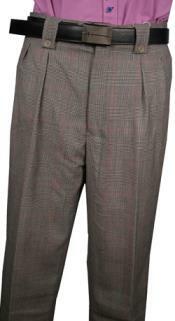 You may also wear a light sport coat for a trendier look. 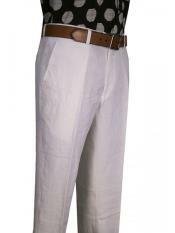 The white linen pants for men are the most comfortable both in terms of fabric and color. 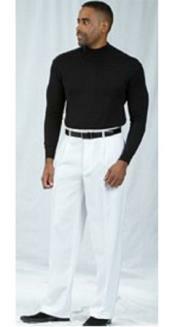 The fit of the pant should be correct and when this most comfortable outfit is paired with a bright top or tees, it can give you a sober yet vibrant appearance. 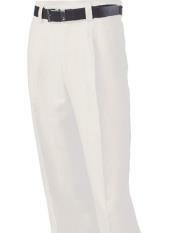 When you wear a white linen pant you should be able to carry it off well. 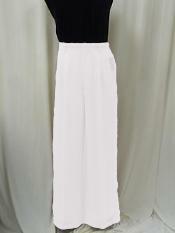 Many of you avoid white colors because it is difficult to maintain but once you know to sustain the white pants, you can trust it with any occasion and for any purpose. 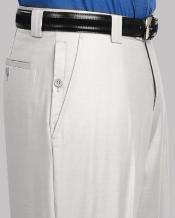 The White Linen Pants are the most stylish and elegant menswear that can be suitable for any situation and make you stand out among others. 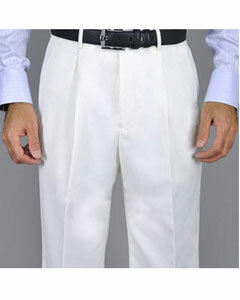 You need to take proper care of your white pants and should never wear pleated pants as they make you look flabby and are not flattering for any type of body. 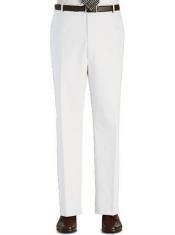 You should know what suits your style and then only buy your white linen pants.